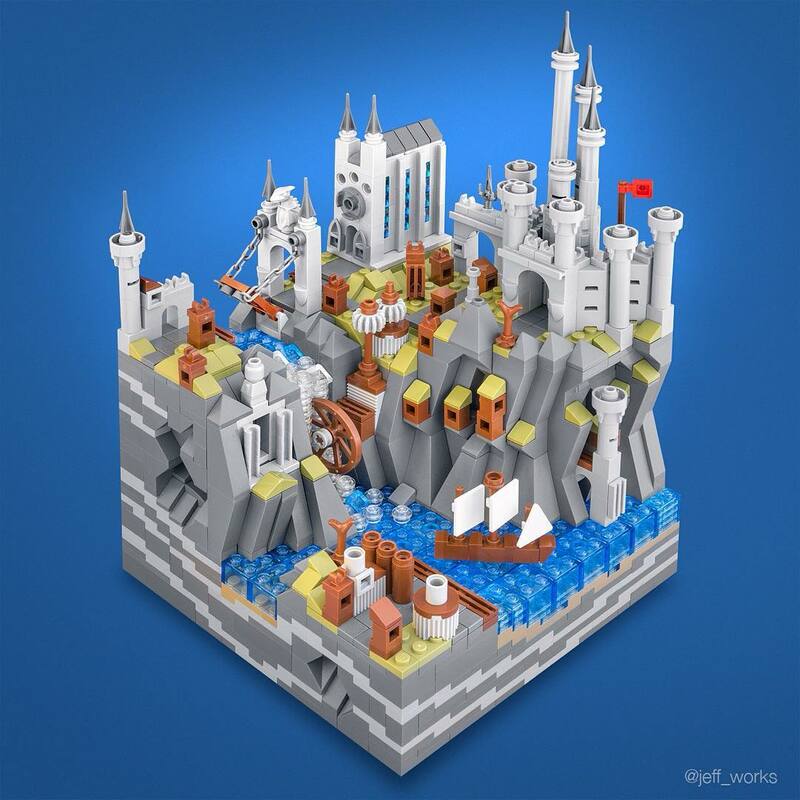 If there was ever a “Master of Microscale” it would be Jeff Friesen. As the author of LEGO Micro Cities and builder of our 2017 Creation of the Year, he knows how to pack a big punch in a small space. It’s incredible how he is able to create a whole world on a 20 x 20 stud baseplate. I love this latest piece, a medieval village and castle, for its levels, layout, and lovely parts usage. This time around, Jeff used several flick missiles to help form the lower towers. I’m also a big fan of Jeff’s consistently perfect color palette. While this one is more simple in terms of colors, it holds true to form in the fact that there is zero monotony. The two-tone base gives it dimension and a slight complexity. If you love this build as much as I do, stay tuned for our review of the book, LEGO Micro Cities. Also, check out our interview with Jeff Friesen about his “Cityscapes” series.